Family law cases such as divorce, child custody, and child support matters are among the most heart wrenching affairs that are heard the legal system. Everyone from the children to the ex-spouses to the extended families face a huge emotional toll as these cases are argued and contested before judges. When the courts get involved in your family matters, you need an Oklahoma City family lawyer who understands the delicate feelings involved in these cases. When Wirth Law Office’s family lawyers approach a family law case, we understand that these matters are important parts of your life, and not just another file. The Wirth Law Office has an Oklahoma City family law attorney ready to help you protect your rights will understand the emotional struggles you face. Every family law case has different turning points and different obstacles. Finding an Oklahoma City family law attorney who is attuned to the emotional as well as the legal nuances of a case gives you an edge is successfully resolving any family law dispute. Every court and every judge has different rules and preferences in dealing with family law cases. 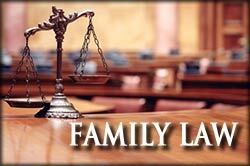 You need a family law attorney familiar with the local rules and practices. The Wirth Law Offices have an Oklahoma City family law attorney ready to assist you with your case who knows and understands the best way to present the arguments and evidence to the Court. Because judges often have so much discretion in family law cases, and especially in child custody cases, it is essential that your Oklahoma City family law attorney understand the preferences and tendencies of the county judges hearing your case. Knowing the Court can be just as important as knowing the law when it comes to giving you the best chance to accomplish your goals in your family law case. For a free consultation with an Oklahoma City family lawyer call the Wirth Law Office- Oklahoma City Attorney at (405) 888-5400. You may also submit an email question from the top right corner of this page. A family lawyer will respond to your questions as quickly as possible.